As the expert panel of five discussed who should be included, there were several other drivers mentioned for consideration. So here are some of those competitors to keep an eye on as we enter the season. In a unique partnership, ShortTrackMusings.com has partnered with the Rich Schwartzenburg- representing Ontario Mini Stocks facebook group to put together a top-10 ranking of the best asphalt drivers across the province. After seeing steady improvement with his program the past couple years, Zac Sprung is ready to get back at it this season at Sauble Speedway. 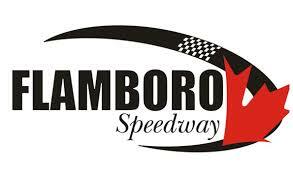 After a rough couple of seasons, Lane Zardo hopes to get back to running up front, committing to Sauble Speedway’s Pro Late Model schedule in 2019. Despite having a stellar season that led to the 2018 APC Auto Parts United Late Models of Ontario Tour Championship, J.R. Fitzpatrick hasn’t settled down through the winter, putting in the hard work to come out stronger in 2019. In an effort to get back to running up front on a weekly basis, Josh Stade will be taking his Pro Late Model program in a different direction for 2019. Since then, plans for 2019 have continued to find their way into public domain. So here are some more competitors who have openly discussed their 2019 plans as of March 5, 2019.